PA cabinet says Israel's withdrawal from UN cultural agency an attempt to "evade responsibilities". The Palestinian Authority (PA) cabinet on Thursday blasted the Israeli decision to withdraw from the UN Educational, Scientific and Cultural Organization (UNESCO). In a statement quoted by the Xinhua news agency, the Ramallah-based cabinet said Israel’s withdrawal from UNESCO is an attempt "to evade from its responsibilities to implement UNESCO resolutions towards Jerusalem and Al-Aqsa mosque." 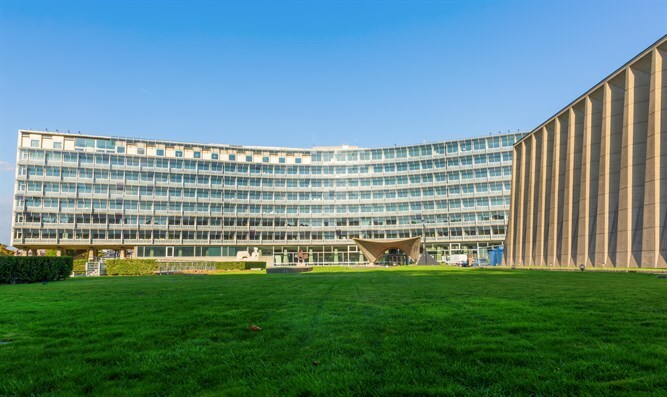 "Israel's withdrawal from UNESCO must not mean that it is exempt of its obligations under UNESCO resolutions and its cooperation with its committees," added the statement. "Jerusalem is subject to escalating schemes against it, especially after the UNESCO resolutions that came to serve justice to the Palestinian inalienable rights," said the statement, slamming the current "excavation works underneath Al -Aqsa mosque and in Silwan by settler groups and Israeli authorities." The statement urged UNESCO to investigate the Israeli "attacks" against Jerusalem's history, including the Al-Aqsa mosque, the old city and its gates and to expose the plans of the underground tunnels and their possible consequences. Israel announced last December that it intended to withdraw from UNESCO, after the US made a similar announcement. Both the withdrawals went into effect on Tuesday. The PA was accepted as a full-fledged member of UNESCO in 2011 after winning the support of 107 votes in favor, 14 against and 52 abstentions.